After his study computer science in 1996 Richard started working for Electronic Data Systems (EDS) to prepare one of the major utilities in the Netherlands for the energy liberalization. In 2001 Richard was involved with the startup of the Dutch national message broker Energy Clearinghouse which would transform into Energy Data Services Netherlands in 2007. During the period 2006 to 2014 Richard was the head of the design team of several national databases for the grid operators centralizing the metering point administration, the smart meter database and the allocation of energy to energy suppliers. 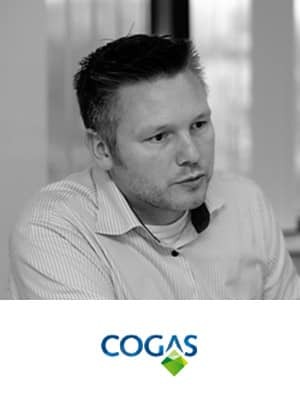 In 2015 Richard joint Cogas to prepare Cogas for the energy transition and where he leads the digital transformation of Cogas. How Can The Internet of Things Provide Prosumers With New & Real Value-Adding Services?